Spring Break is a time for people across the country, especially young adults and college students, to take some much-needed time off from school studies and relax. Spring Break then brings an entire week of fun, relaxation, celebration, and parties. This often results in droves of tourists hitting popular destinations nationally and internationally, including Las Vegas. Unfortunately, these young students often overindulge during Spring Break, particularly when the events go unsupervised. A long night of partying, dancing, and drinking can result in an injury that may make the victim entitled to monetary compensation. While there are limitless options for students during Spring Break, the most common go-to events include those that are sponsored or private house parties. In either scenario, if you or your adult child is hurt, he or she may be entitled to monetary compensation for injuries suffered due to the fault of another. Clubs or Sponsored Events: If you or your adult child is attending an event that is sponsored, such as a concert or festival, it is important to understand that the sponsor is legally obligated to maintain the property where the event is held in a manner that provides adequate security. This same standard applies to bars, nightclubs, restaurants and other similar venues. If you or someone you know is hurt at a sponsored event, the sponsor could be held financially liable for your injuries. Private House Parties: If you are at a house party or a party hosted at a private residence, the owner of the property may be legally and financially responsible for any harm you suffer on the premises, even if the event was loosely organized. This is particularly true if there is underage drinking involved in the home and something happens during or after the party as a result. Under Nevada law, it is against the law for parents or other adults to provide or allow minors - that is, those under the age of 21 years - alcoholic beverages. If you are hurt during Spring Break week in Nevada, know that there are options available to you and steps you should take to protect your legal interests. After first seeking the necessary medical attention to treat your injuries, contact a knowledgeable Las Vegas personal injury attorney. Even if your injuries seem minor, you should always see a physician because even minor injuries can become serious if not treated properly. Moreover, seeking care from a medical professional will also confirm that you were legitimately hurt and doing so shortly after the incident will show that you were hurt at the time you said you were. If you are able to, return to the scene of the accident or ask someone you trust to do so, and take photographs of where the incident happened. You should also, of course, take photos of any visible injuries on your person and any relevant property damage. If you can take photos of the accident scene immediately following the accident, that is even better because the likelihood of evidence changing or disappearing is minimized. Also, ask for any video footage of the incident from the property’s surveillance cameras. If there were witnesses to the event, be sure to ask them to write a statement of what was seen and get their contact information. 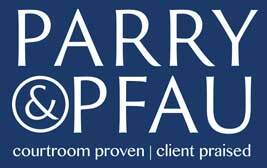 If you or someone you know has suffered an injury during Spring Break, contact the experienced Las Vegas personal injury attorneys at Parry & Pfau today for a free initial case evaluation.